Use the code PCG to save and join us in London. The PC Gamer Weekender played on OMEN by HP is happening in London in just two days. 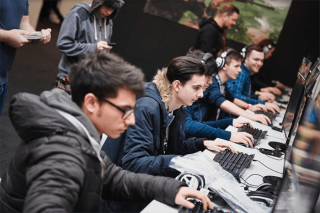 A weekend of games, stage talks, hardware workshops, Overwatch masterclasses, retro games and tons more is happening at the London Olympia, on February 17 and 18. Anyone who loves PC games will find something to love at the event. We'll also be walking about, playing games and saying hello, so don't be afraid to introduce yourself if you spot one of the UK team. This is your last chance to save on advance tickets—just use the code PCG before the event to save 20% on your tickets. Here's a list of the games you can play at the show, here are our stage talks, and you'll find everything else on the Weekender website.